Below are the list of local groups in the Reconciliation Network. The Network is supported by Reconciliation Victoria and ANTaR Victoria, with meetings three times annually to discuss statewide actions and news of Reconciliation. If you want to find out about how to help in your area, what's happening around, and the supporting role of these groups check out the closest one to you! Each is governed uniquely, with differing relations to local councils and Traditional Owners of Country, reflecting the vast identities, challenges, and perspectives around Victoria. Current focus: The community-led push to change the name of the McMillan electorate was successful. There is now a local push to have the electorate renamed and Aboriginal name. The name is undecided. Tunnerinnerwait and Maulboyheenner - Melbourne City Council commemoration of two Aboriginal men from Tasmania hanged in 1852. They represent the spirit of the Aboriginal resistance to colonial occupation, and the memorial stands as a reminder and reflection of the frontier wars. 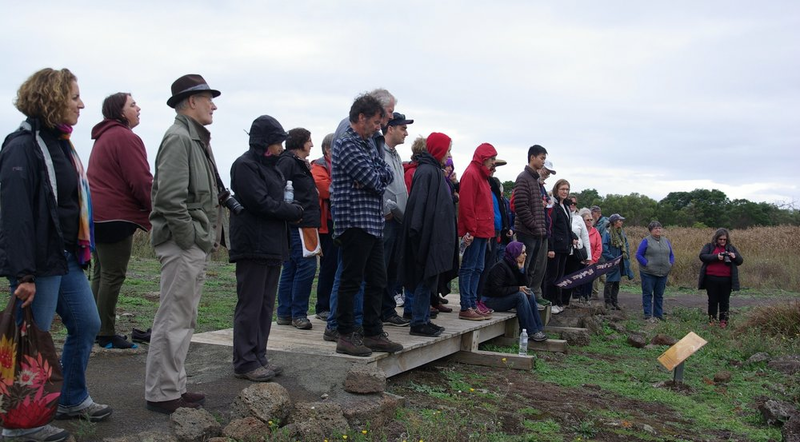 Bass Coast/South Gippsland Reconciliation Group aims to work with local council to organize a commemoration also in Cape Patterson. The group will host an art exhibition during NAIDOC Week. More information will soon be available on the Facebook page. An Aboriginal film festival will also be supported by the group later this year. The group meets monthly at Anglicare Victoria-St Luke’s Region Mundy St site, every third Wednesday from 12pm-2pm. Current focus: Raising awareness and strengthening Reconciliation in the Bendigo area. 1) Promote Reconciliation in the City of Boroondara by being a focal point for local businesses, community groups, schools and educational bodies to assist and publicise their Reconciliation activity. 2) To raise community awareness of local Aboriginal culture, heritage and place, issues relating to Aboriginal health, housing, education and employment and historical truth-telling. 3) Engage with the Local Council to support their promotion of Indigenous culture and heritage and advocate for the reinstatement of Acknowledgement of Country at Council meetings and civic events and development of a Reconciliation Action Plan. Group’s current activities: contacting local businesses, schools, community groups and societies to find ways of recognising, celebrating and promoting Indigenous history, culture, rights and opportunities, including developing Reconciliation Action Plans. Sponsoring, co-sponsoring and publicising Reconciliation events in Boroondara. Current focus: Reconciliation Stone unveiled by the Civic Centre in Castlemaine, which was made possible through funds raised by ANTaR Castlemaine. The Stone is designed to engage both the Indigenous and non-Indigenous community and commemorate the culture of the traditional owners, and the commitment to support the local Aboriginal community. The stone was launched on the Tuesday of Reconciliation Week 2017. Supporting the Koorie Family Homework Centre – a weekly program that works with schools to support local Aboriginal children to help them reach educational goals, and The Meeting Place, a fortnightly program held during school terms for the Aboriginal children within the Mount Alexander shire for the students to learn about the local Jara Jara culture and complete activities that are culturally enriching, such as dance, song, art, planting of Indigenous flora. Current focus: NT Intervention and human rights, moving towards treaty/treaties. Current focus: Darebin Reconciliation Group is currently rallying for a Wurundjeri Centre in Darebin to support the Wurundjeri people. The group also aims to create a network among government councils on Wurundjeri Country to create a more cohesive relationship between all municipalities and the Wurundjeri Council. The group (usually) meets on the third Tuesday evening of each month at 7.30pm. All meetings will be at Wathaurong Aboriginal Co-op, Morgan Street, North Geelong. Please email geelongonefire@gmail.com if you would like to attend a meeting. Current focus: One Fire and Wathaurong Aboriginal Co-operative have worked together to develop the www.djillong.net.au website, which was developed by Uncle David Tournier with support of One Fire member, Glenda MacNaughton. Current focus: Respect, rights and recognition for Aboriginal culture, the oldest living continuous culture on the planet. Current focus: ‘Marngrook in Mainstream Inc.’ (MiM) continues to promote reconciliation by playing the traditional Aboriginal football game of Marngrook at school and community levels. This includes playing demonstration games at public occasions such as local festivals and AFL and other football league match days. The group meets bi-monthly on Mondays to discuss issues relating to Aboriginal reconciliation. Current focus: Assisting council and Mullum Mullum Indigenous Gathering Place group events, and liaising with council during Reconciliation Week program. Lobbying and supporting Maroondah City Council in fostering Aboriginal reconciliation in the City of Maroondah. The group has a stall annually at Maroondah Festival in November and also supports the annual community day at the Mullum Mullum Indigenous Gathering Place around March/April. There will be a table at a Maroondah Council Reconciliation Week event on the 1st of June. The group meets on the third Tuesday of each month at 7:30pm at The Highway Gallery. Business meetings are held on the second Wednesday of each month except January. Current focus: This year 2018 we have a Reconciliation flag Raising in partnership with the Nillumbik Shire Council and local schools, A NAIDOC Indigenous Forum in September, and a pilot schools program with Brooke Wandin, Wurundjeri Educator. We will also be involved in a NAIDOC Naming Ceremony for the Performance Space at Eltham High School which will be given an Aboriginal name. We honour the traditional custodians, the Wurundjeri. We value Wurundjeri heritage and seek to understand and respect their living culture. Our purpose as a group is to promote and support opportunities and initiatives that include the expression of Aboriginal voices for positive change and social justice. The group meets on the third Tuesday of each month from 6.30pm at Community Hub, South Melbourne Town Hall, Fishley Street entrance; open to all interested people. Current focus: Working closely with the City of Port Phillip, participating or organising events such as a Sorry Day lunch, Reconciliation and NAIDOC Week activities, local community festivals, hosting talks and publishing MUNGO, a free and informative monthly newsletter. Current focus: A small active group who support reconciliation between Indigenous and non Indigenous Australians and who plan community activities as part of Reconciliation Week. The group meets monthly at Ivanhoe Uniting Church, 19 Seddon Street, Ivanhoe to discuss how we can help to improve awareness of Indigenous issues and progress reconciliation in Banyule and Melbourne. The group holds monthly film nights also at the Ivanhoe Uniting Church, see the website for details and upcoming films. Current focus: Working closely with Banyule CIty Council, offering advice and helping to keep reconciliation and Aboriginal needs on the Council's agenda. Contact Reconciliation Manningham to participate and volunteer to assist with publicity, film nights, information stalls, festivals and other events, teaching, networking, or administrative support. Current focus: Engaging with councils and language groups to consider and collect Aboriginal place names and their meanings within municipalities with the aim of creating an inventory. Pushing for Indigenous places names to be considered as replacements or additions to current place names. Educating the public on history and meaning of place names and Aboriginal songlines. Reconciliation Stonnington Inc. meets on the second Wednesday of each month (except January) between 6 and 7:30pm at the Prahran Community Learning Centre. New members are always welcome. Current focus: Promoting a deeper understanding, respect and harmony between Indigenous Australians and the wider community, developing community awareness and appreciation of Aboriginal history, culture, and achievements, and consulting and seeking advice from Aboriginal communities, where possible. An Aboriginal curriculum initiated by RecSton, based on the Aboriginal history of Stonnington and aimed at primary schools is available from the City of Stonnington’s website. Specialised tours of Melbourne Museum’s Bunjilaka Indigenous Gallery may be booked by contacting Ro. The group meets on the first Monday of each month at 1pm at Sandhurst Catholic Care, 68 Wyndham Street, Shepparton. Contact Shepparton Region Reconciliation Group for confirmation and more information. Current focus: Shepparton Regional Reconciliation Group works in partnership with Greater Shepparton City Council and Rumbalara Aboriginal Cooperative to host an annual Apology Breakfast to the mark the anniversary of Kevin Rudd's 2008 apology to the Stolen Generations. The group was also focused on the launch of the mural of Sir Douglas Nicholls and William Cooper which is part of the on-going Aboriginal Street Art Project in the region. The groups meets on the fourth Thursday of each month at 7.30-9:30pm. The venue is usually U3A 1A Park Boulevard Ferntree Gully Mel 64 F11, however contact TR@K Towards Reconciliation for confirmation. Current focus: To raise awareness of the injustice and ongoing struggle that European invasion has caused the Aboriginal community, to acknowledge the Aboriginal people, history and culture, and to strengthen relationships between the Aboriginal and non-Aboriginal communities by creating Meeting Places. The group meets bimonthly on the second Thursday of the month, at 7.30pm at Mitcham Community House, 19 Brunswick Rd, Mitcham. Meeting Dates for 2017 are 8 June, 10 August, 12 October, 14 December. Current focus: To work towards justice harmony and respect between all citizens in the City of Whitehorse. To work with the City of Whitehorse in developing policies and taking actions that will lift the profile and honour traditional owners of the land that the City. Current focus: To operate as a key reference group to council and create opportunities to increase understanding of Aboriginal people and Aboriginal culture by bringing all people together to support reconciliation. Current focus: Represented on Yarra Ranges Council Indigenous Advisory Committee. Have a stall at Celebrate Mooroolbark in March each year. Library display in Reconciliation Week. Support Mullum Mullum Indigenous Gathering Place. Participate in Reconciliation Eastern Metro. Meeting time and place: Monthly 1st Wednesday, 7:45 pm, at 35 Kipling Ave Mooroolbark.